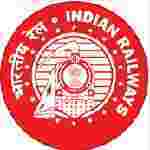 South Central Railway recruitment 2017 notification has been released on official website www.scr.indianrailways.gov.in for the recruitment of 21 (twenty one) for Sports Quota vacancies. Job seekers should apply from 25th November 2017 and before 27th December 2017. Here on this page you will get the details like the Name of vacancies released by South Central Railway with exact number of posts. Some other criteria like Education details, application fee and way to apply application for South Central Railway recruitment 2017. Educational Qualification: 10th or SSC or equivalent with ITI or passed class 12th (+2 Stage) or Intermediate or equivalent examination. Age Limit: The age of candidate should be between 18 to 25 years as on 01.01.2018. Fee charges: Applicants who wanted to participate for South Central Railway should pay the below charges through crossed Bank Draft/Indian Postal Order drawn in favour of Financial Advisor & Chief Accounts Officer, South Central Railway payable at Secunderabad. Interested and eligible aspirants should apply in prescribed format (his/her own hand-writing in English or Hindi) & self-attested copies of all relevant certificates, two passport size colour photographs, two self-addressed unstamped envelopes (size 23 cms x 10 cms) & envelope should be super scribed as “Recruitment against Sports quota for the year 2017-18 on South Central Railway”, “Game —– (Name of the sports discipline)” by Post (business/registered) to the Assistant Personnel Officer (Recruitment & HQ), Room No. 416, Office of the Chief Personnel Officer, 4th Floor, Rail Nilayam, Secunderabad – 500 025 (Telangana) or can also be dropped in the box provided at the outside of the room of Assistant Personnel Officer / Recruitment, 4th floor Rail Nilayam, Secundrabad on or before 27.12.2017 & for remote areas on or before 09.01.2018.